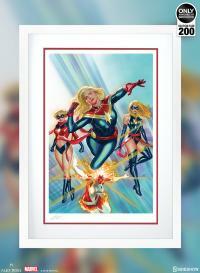 Sideshow and Alex Ross Art present the Captain Marvel #1 Fine Art Lithograph. 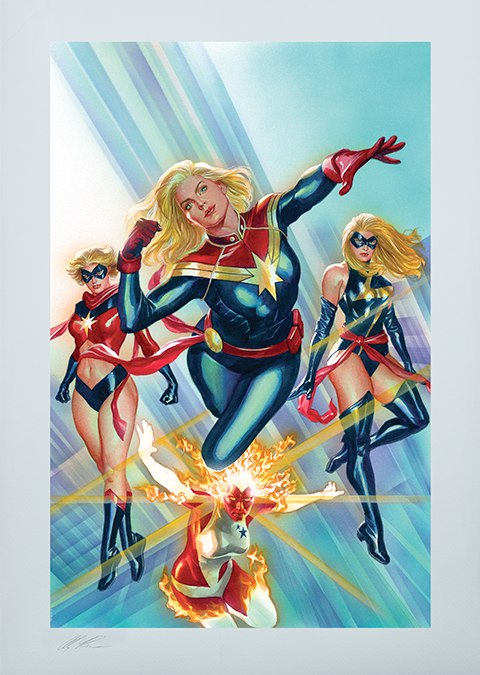 This dazzling illustration takes Carol Danvers in pursuit of flight as a celebration of her incredible heroic legacy across the years. 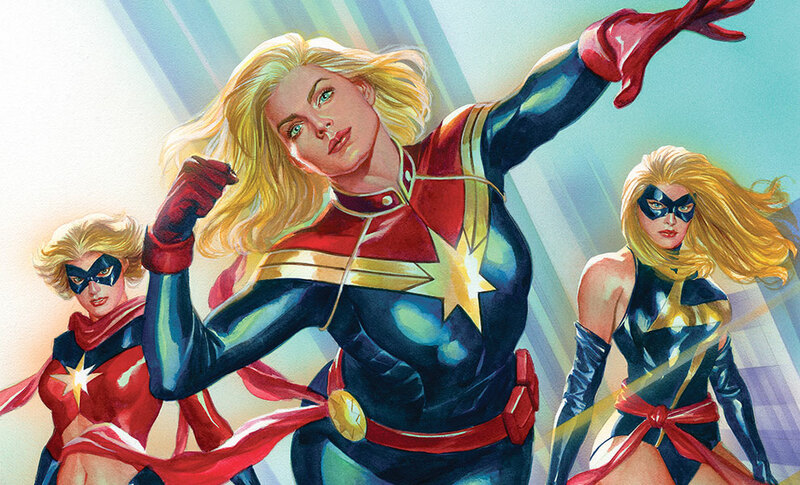 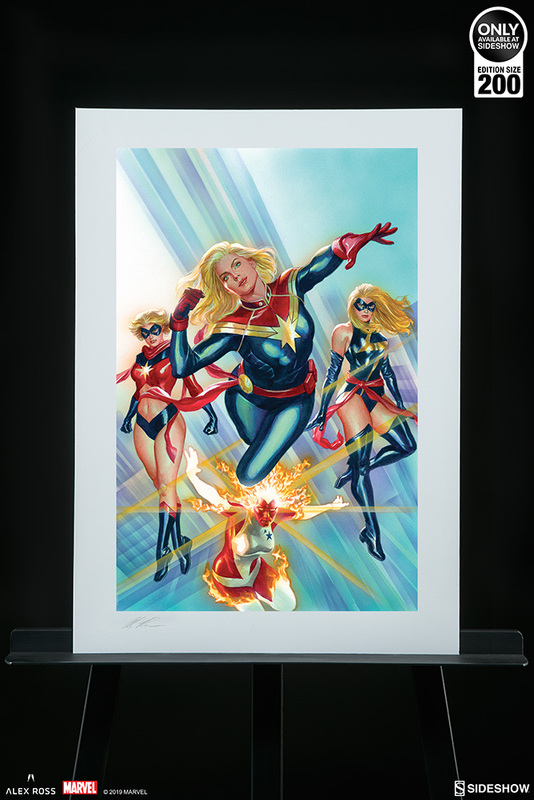 The Captain Marvel #1 Fine Art Lithograph spotlights the evolution of Carol’s identity from humble beginnings as Ms. Marvel, to suiting up as Warbird, to bursting onto the scene as Binary, and finally to taking the lead as Captain Marvel. 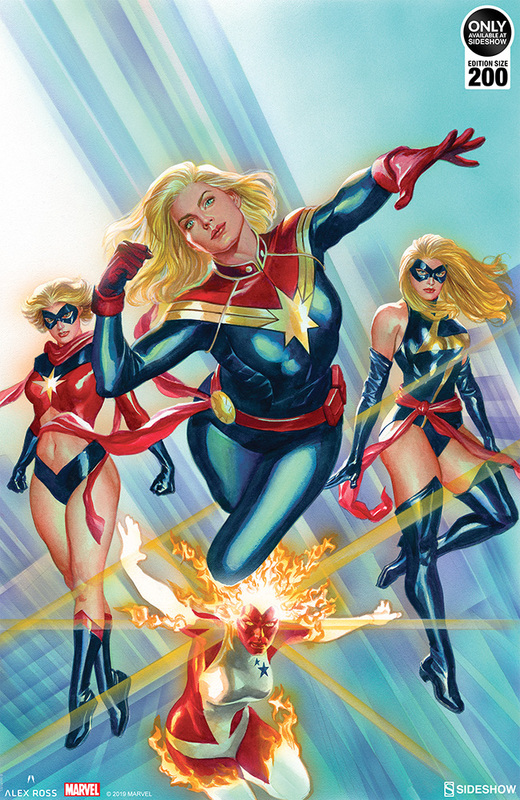 Alex Ross captures the strength, grace, and tenacity of this marvelous heroine as she pushes herself higher, further, faster to truly become one of Earth’s Mightiest Heroes. 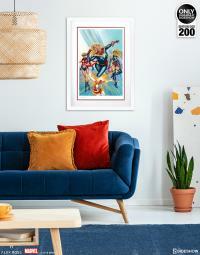 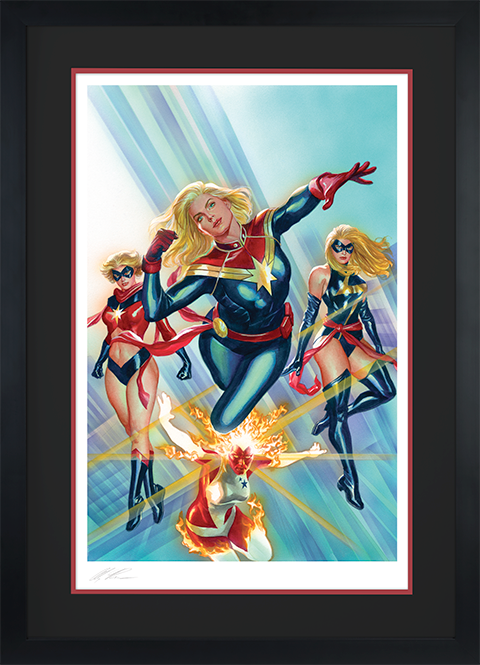 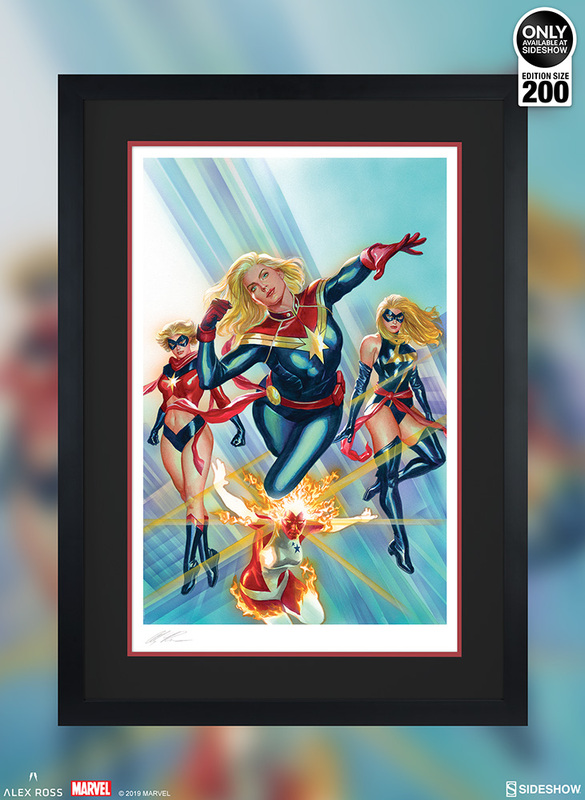 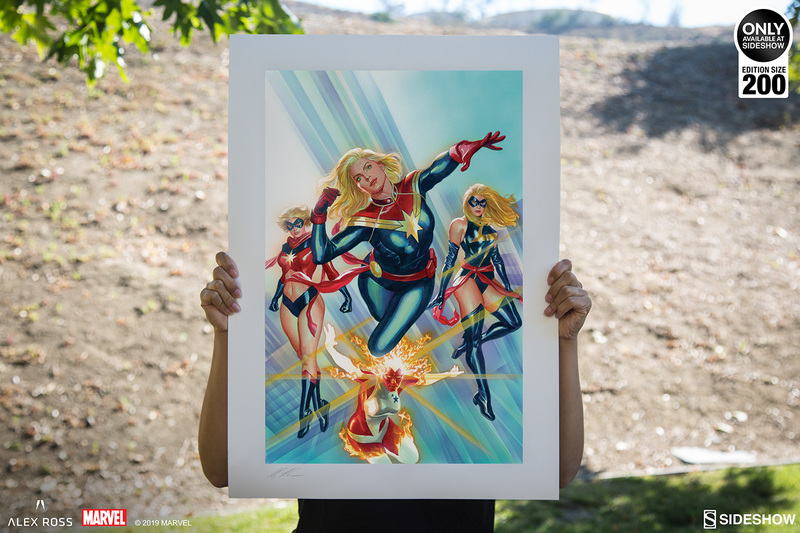 Originally created as a variant cover illustration for Captain Marvel #1 (2019), this fine art lithograph has been specially reproduced for Sideshow in an exclusive limited edition of 200 pieces. 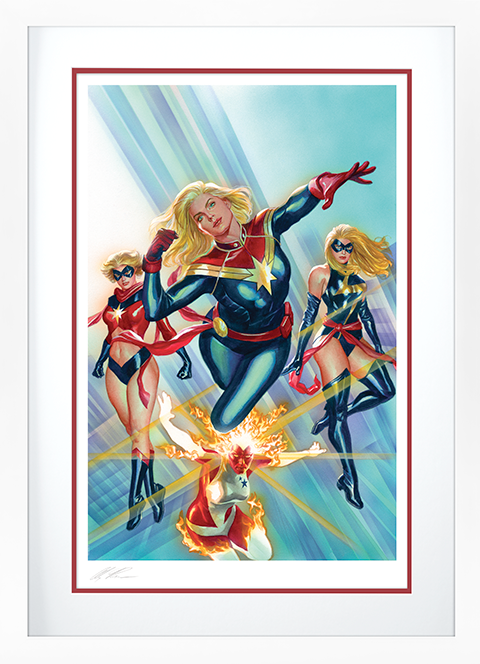 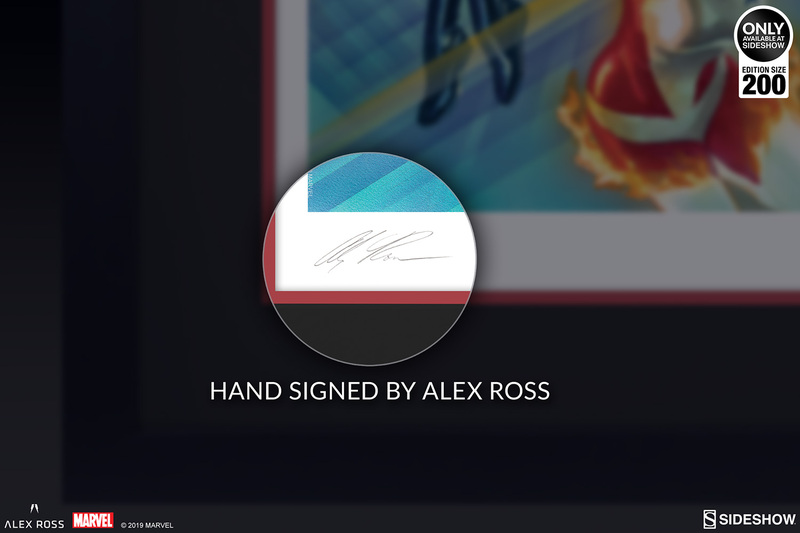 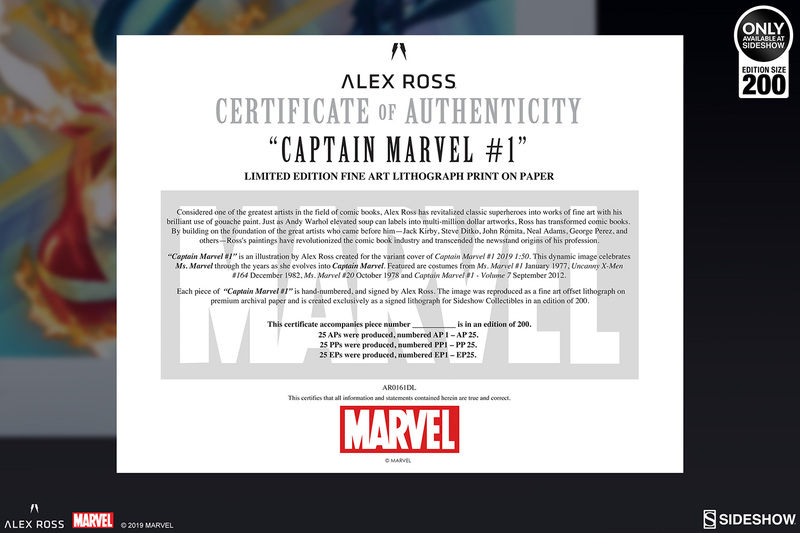 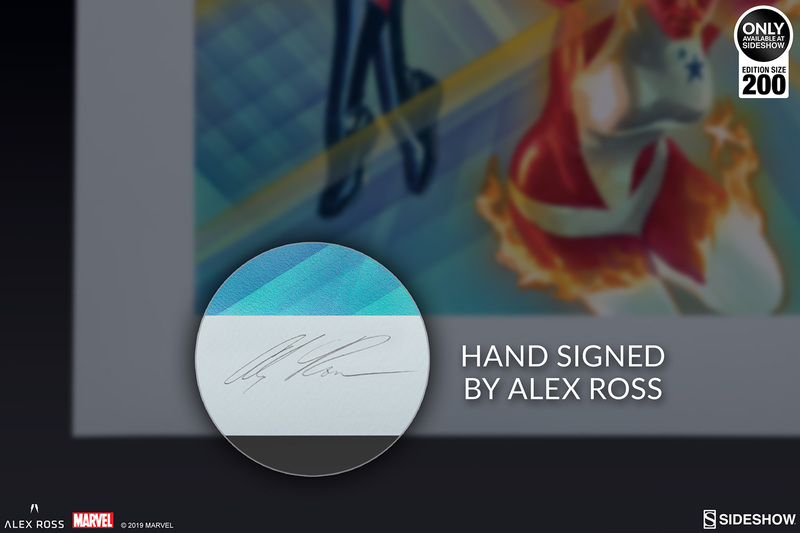 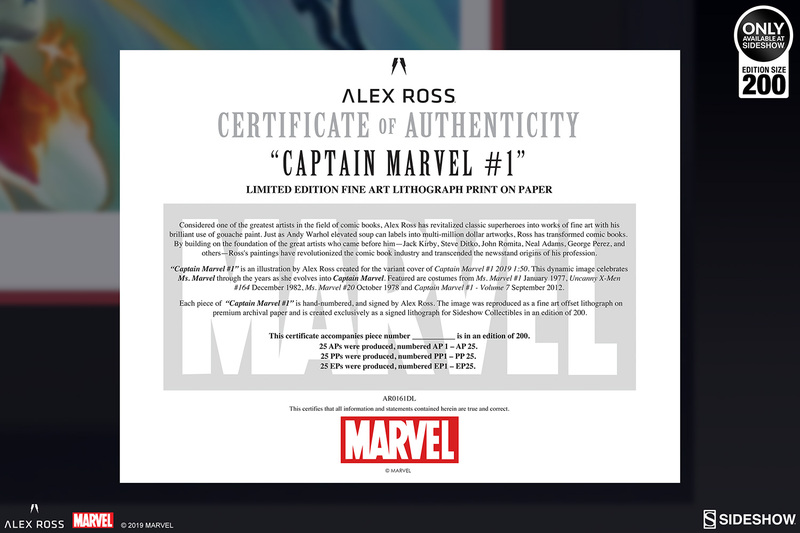 Each Captain Marvel #1 Fine Art Lithograph is hand-signed by Alex Ross and includes a Certificate of Authenticity. Let Carol Danvers take command of your collection- order the Captain Marvel #1 Fine Art Lithograph by Alex Ross today! 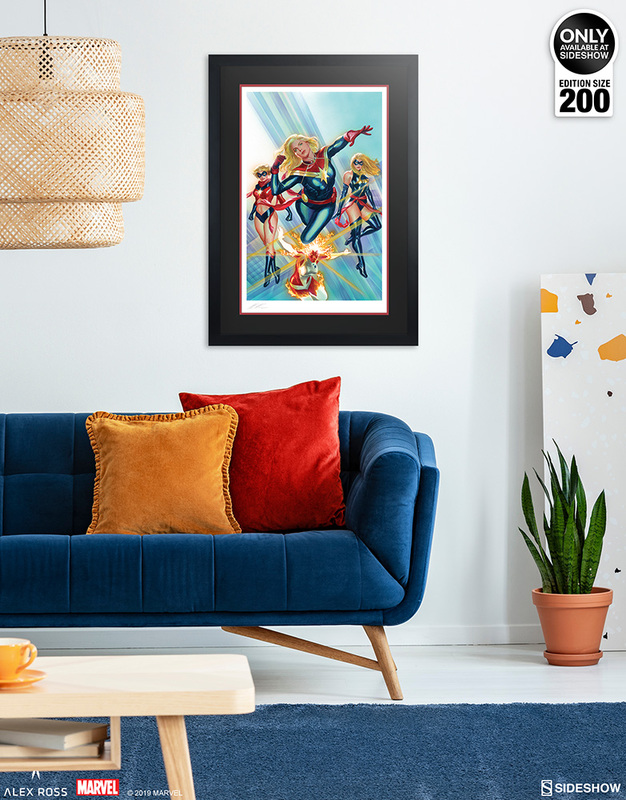 Considered one of the greatest artists in the field of comic books, Alex Ross has revitalized classic Super Heroes into works of fine art with his brilliant use of gouache paint. 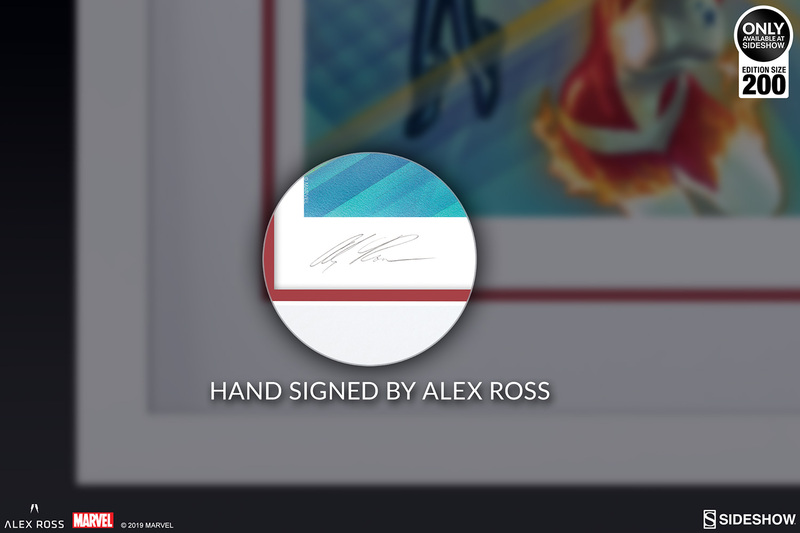 Ross has transformed comic books by building on the foundation of great artists who came before him. 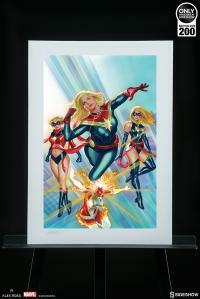 Ross' paintings have revolutionized the comic book industry and transcended the newsstand origins of his profession. 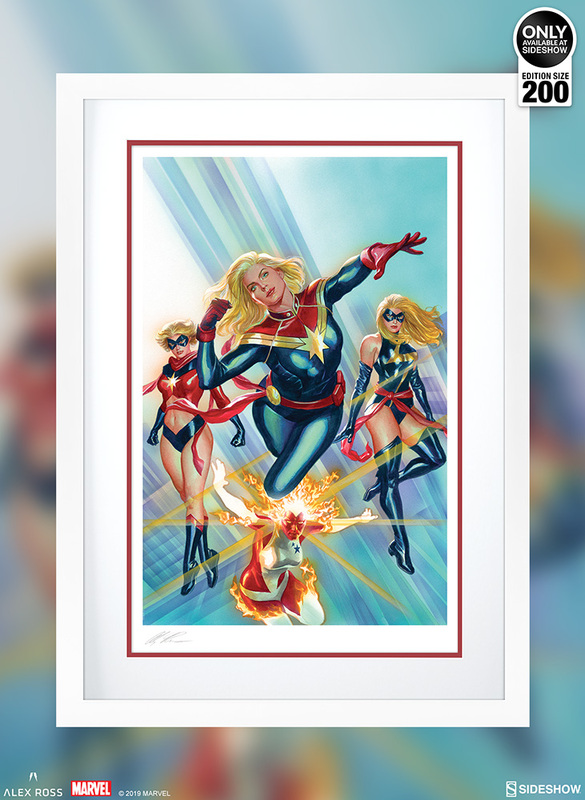 Originally created as a variant cover illustration for Captain Marvel #1 (2019), this fine art lithograph has been specially reproduced for Sideshow in an exclusive limited edition of 200 pieces. 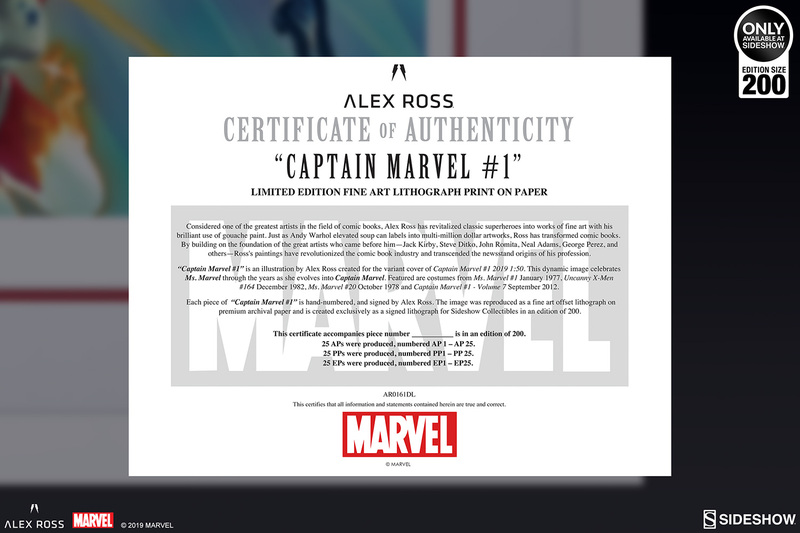 Each Captain Marvel #1 Fine Art Lithograph is hand-signed by Alex Ross and includes a Certificate of Authenticity. 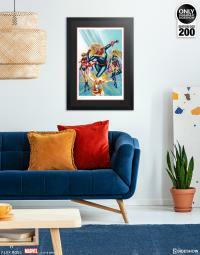 The framed edition fine art lithograph includes a matte black or white frame option, a custom double mat design, and a wire hanger for an easy and stylish display.